sideblog: Dirt Quake USA: Thanks everyone! Dirt Quake USA: Thanks everyone! 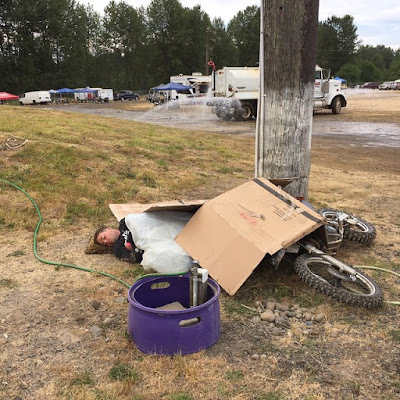 Dirt Quake USA is over and, some how, everyone survived. 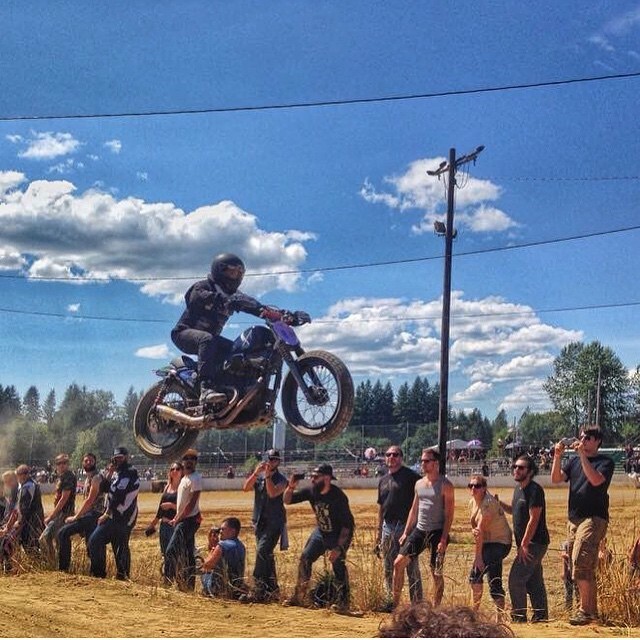 There aren't many race events where people feel safer on the track, but it got properly crazy at times. Not 'wearing a funny hat' crazy, 'police cars and ambulances at 2.30am' crazy. Massive thanks to See See Motorcycles for making it happen and all our sponsors, especially Harley-Davidson. H-D arranged for some great hooligan racers to come up from So. 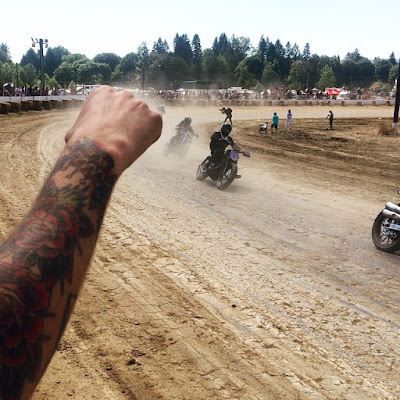 Cal and beyond, including The Rusty Butcher crew, Helder form Roland Sands, the Suicide Machine Co boys and a big Speed Merchant gang. Big thanks to everyone who came out and either raced or spectated, too. There were a lot of good people who'll be talking about Dirt Quake for quite a while. "Police cars and ambulances"? Looking through the Instagram shots you were lucky not be visited by the Fire Brigade, the FBI, the Samaritans and Alcoholics Anonymous. Nice to see the participants taking the concept of protective clothing so seriously! Looks like a rip roaring success.